In the past, I have challenged myself to make some Valentine cards to share here on the blog leading up to Valentine's day. Last year I failed miserably and this year I didn't get as many made as I would have liked, but I do have a few to share I will be sharing those over the next few days as we head toward Valentine's Day. My first card is a bit of a remake of a card I have made in the past. 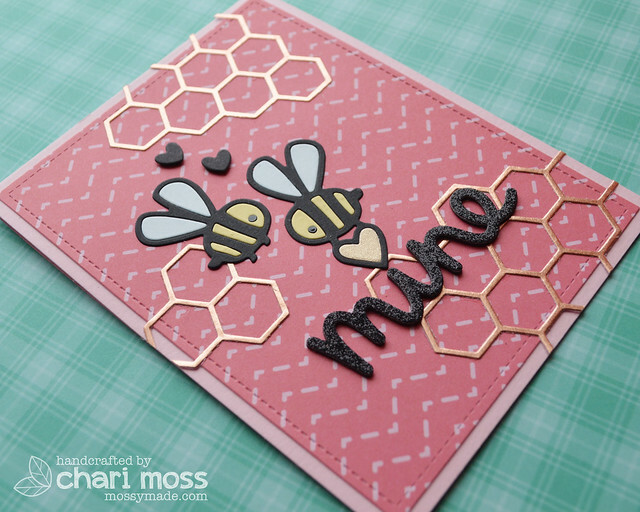 The same sort of layout, but I created some die cut bees for this card using the Paper Smooches Bees dies. The sentiment is custom using Smitty's ABCs. I used some Doodlebug paper for the background. I think it would be cute to try to die cutting the bees using the colors they are in the paper as well. 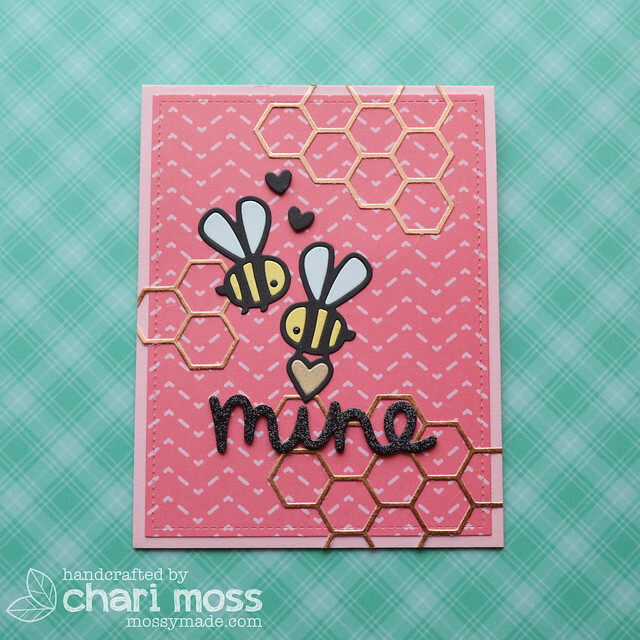 My second card uses the same cute bees along with the scripty Mine die from Lawn Fawn and Honey Bee hexagon bunches. The honeycomb hexagons are cut from a metallic copper paper and the sentiment from black glitter paper. The background paper is from Reverse Confetti. I also added some black enamel accents for the bee's eyes. Thank you for stopping by today, I'll be back tomorrow with some more Valentine's cards.